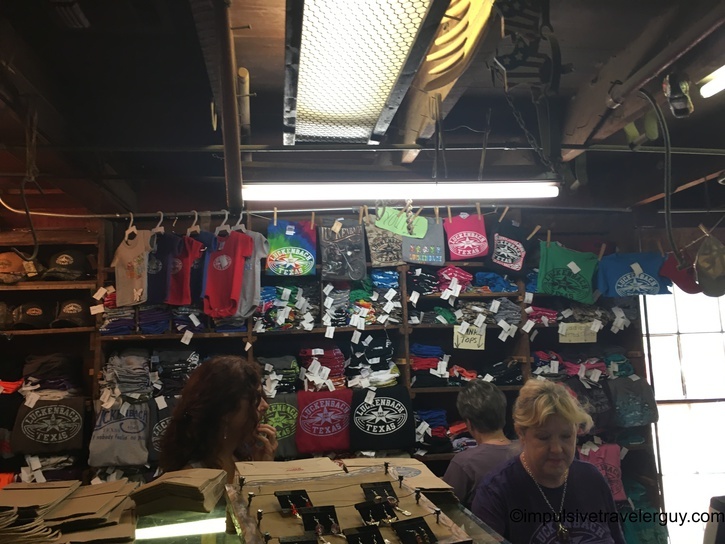 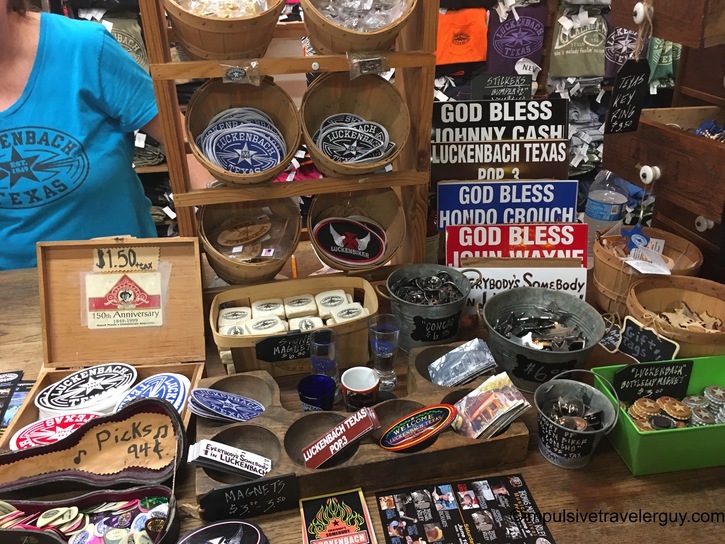 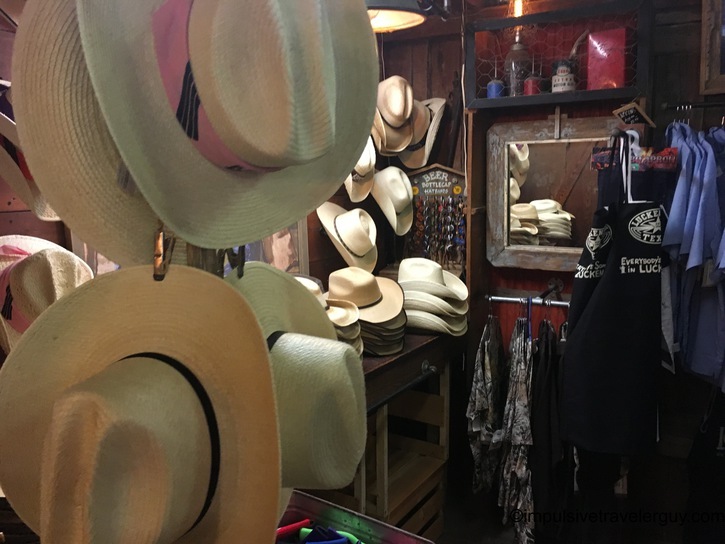 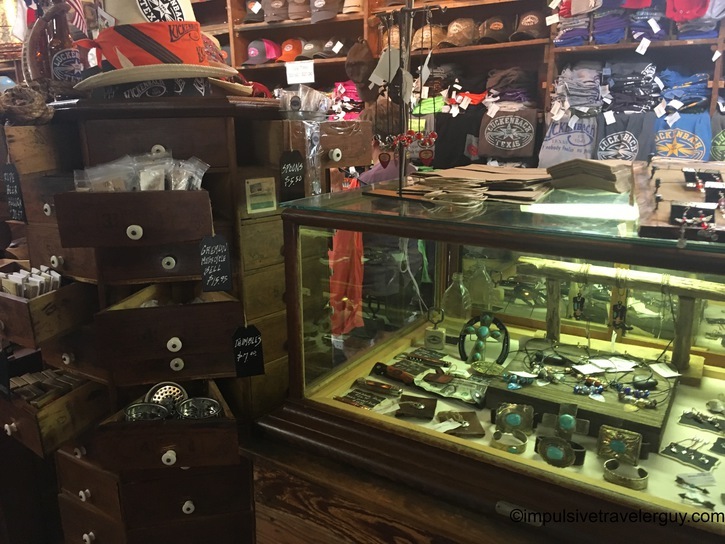 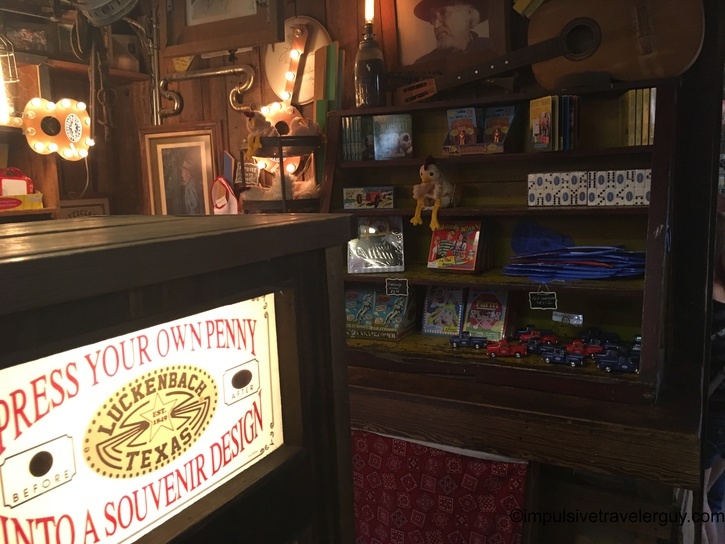 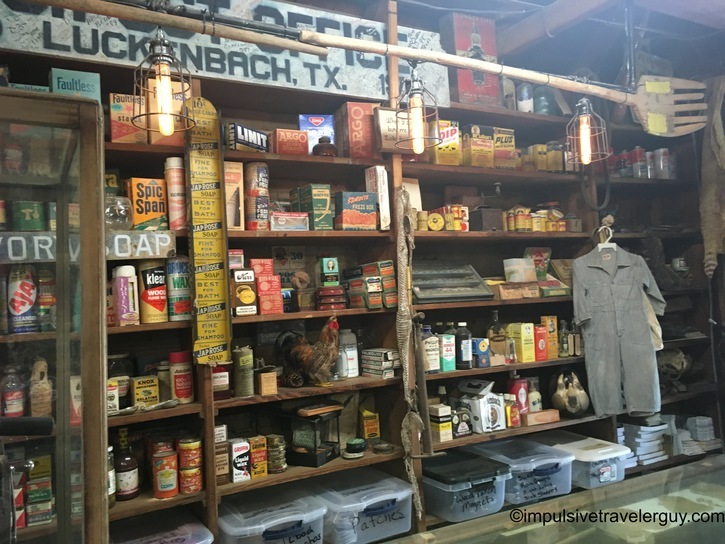 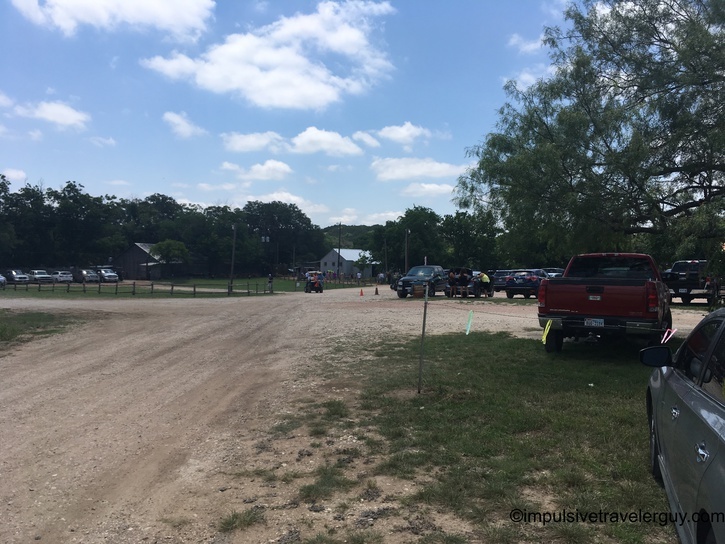 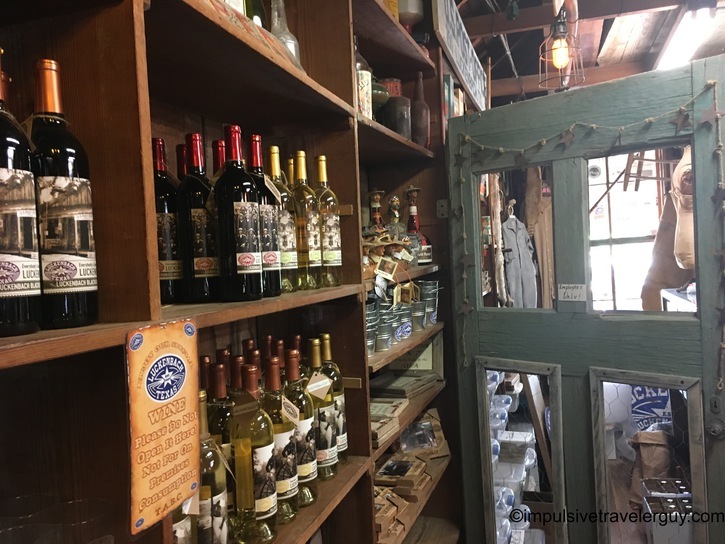 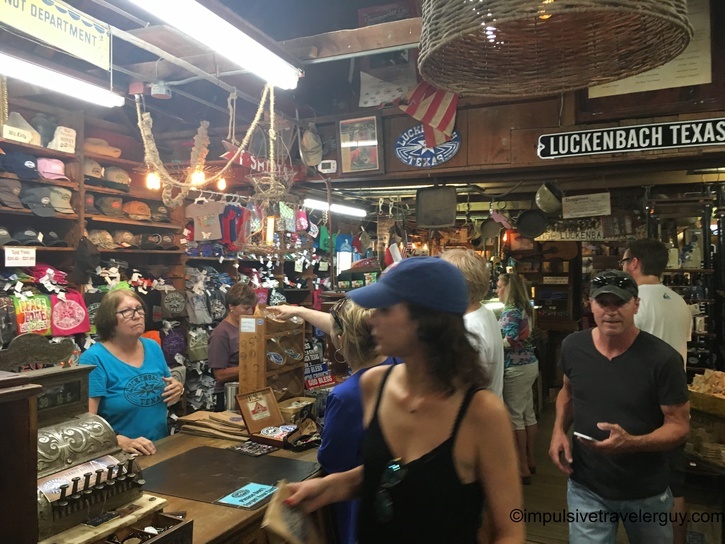 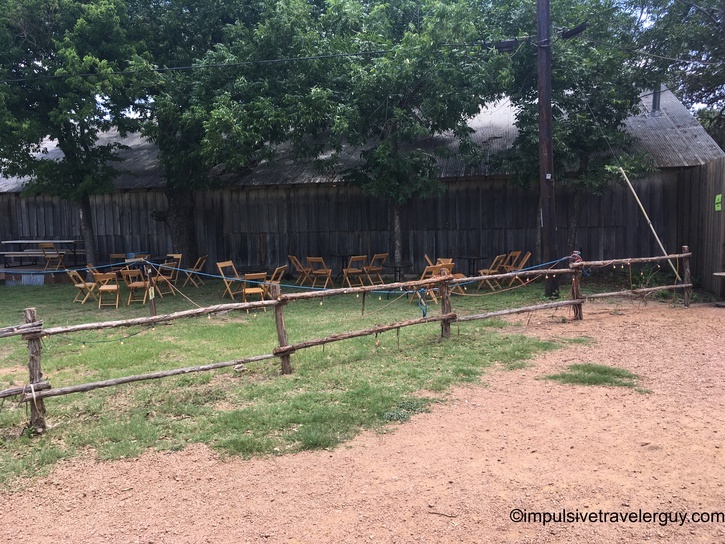 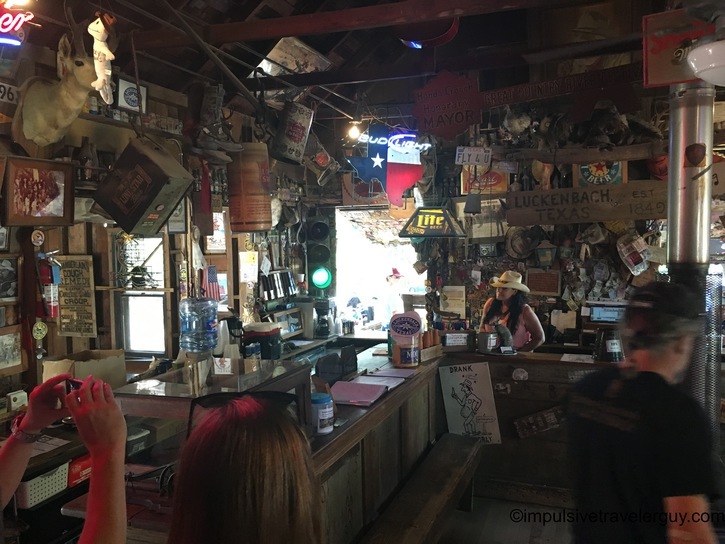 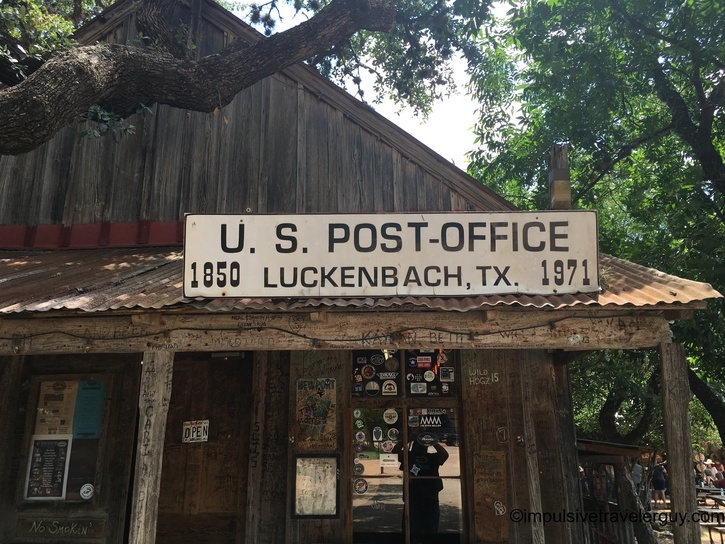 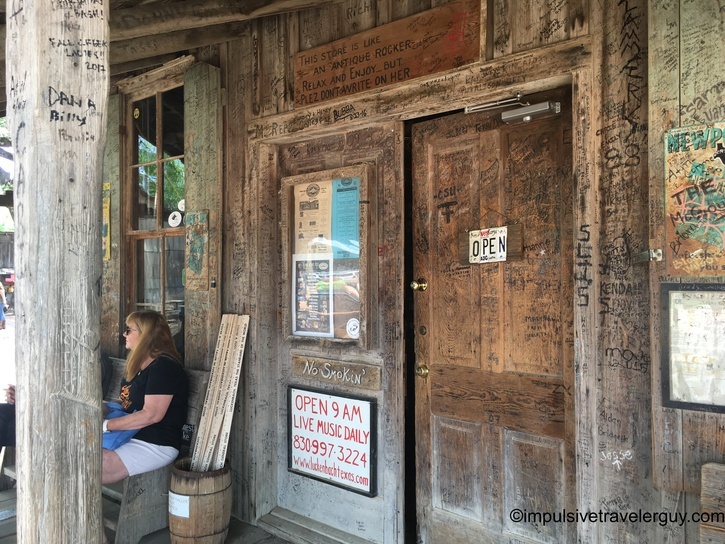 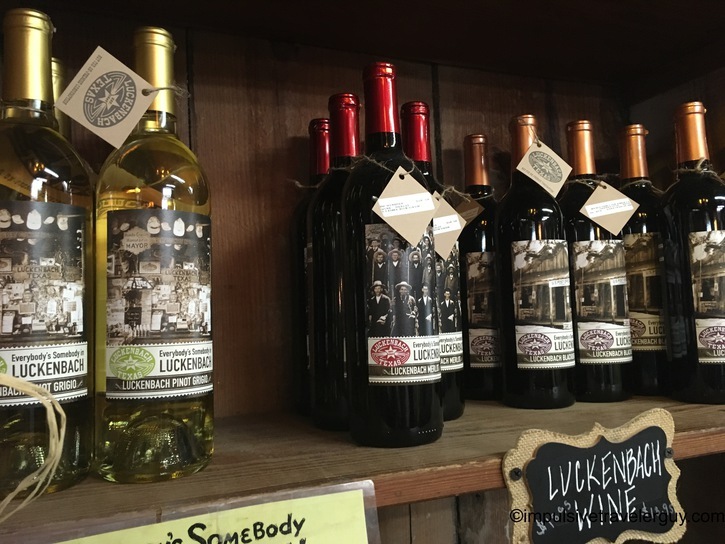 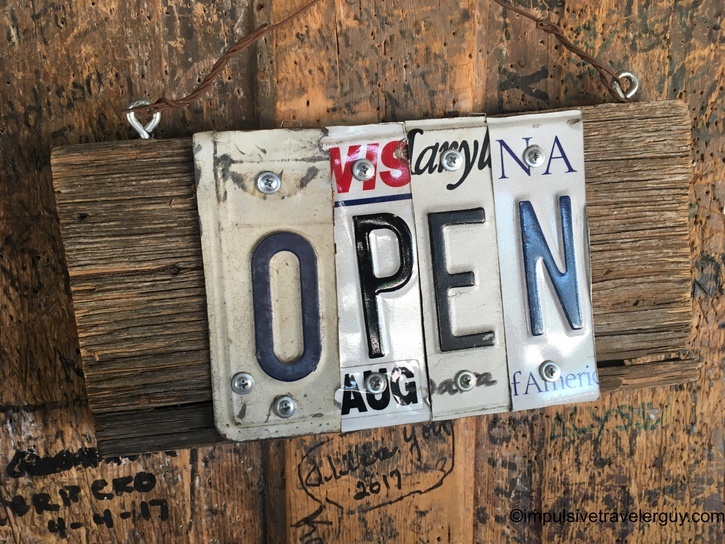 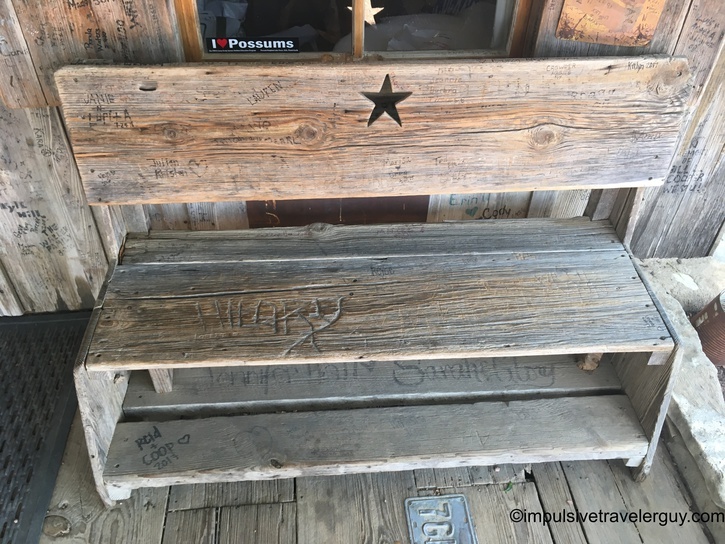 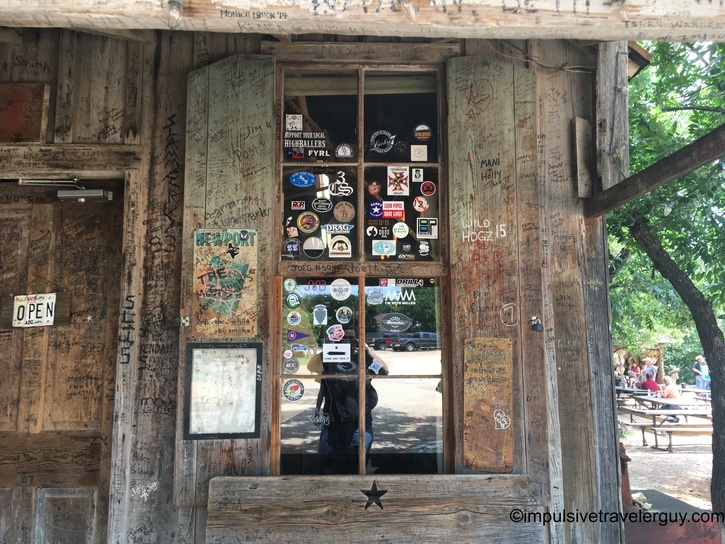 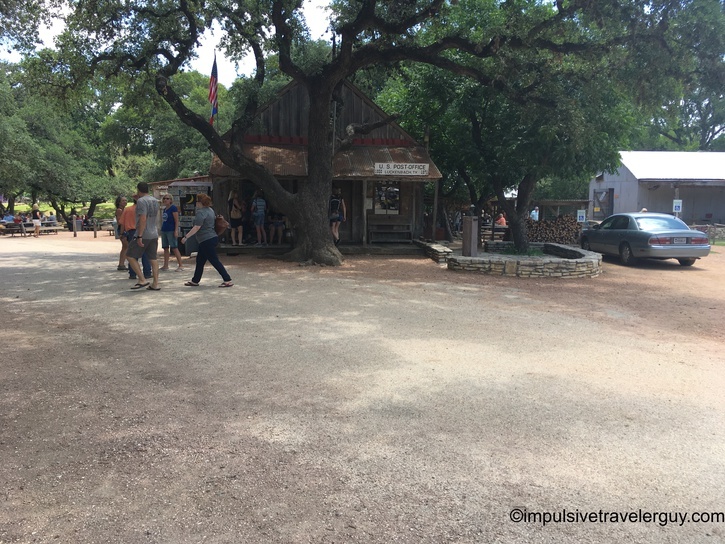 “Everybody’s somebody in Luckenbach,” is the motto of this little town. 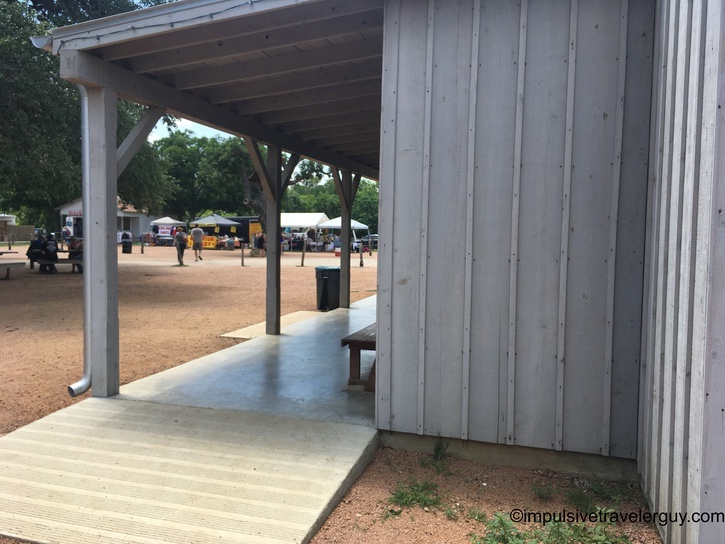 By little town, the population is 3. 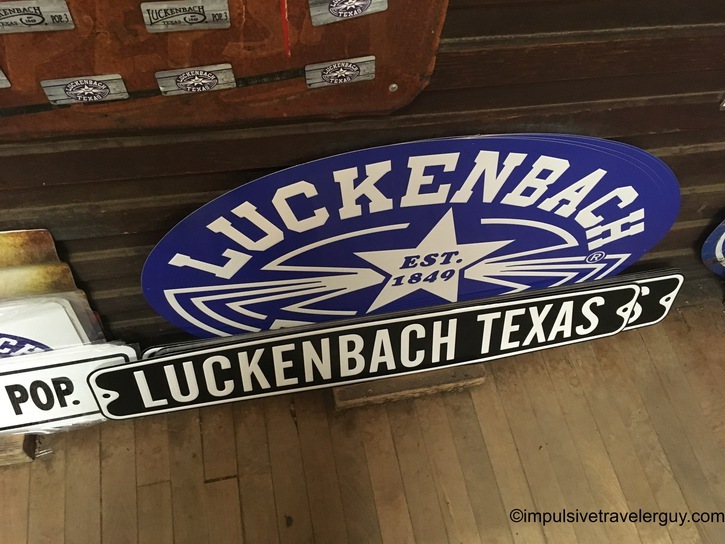 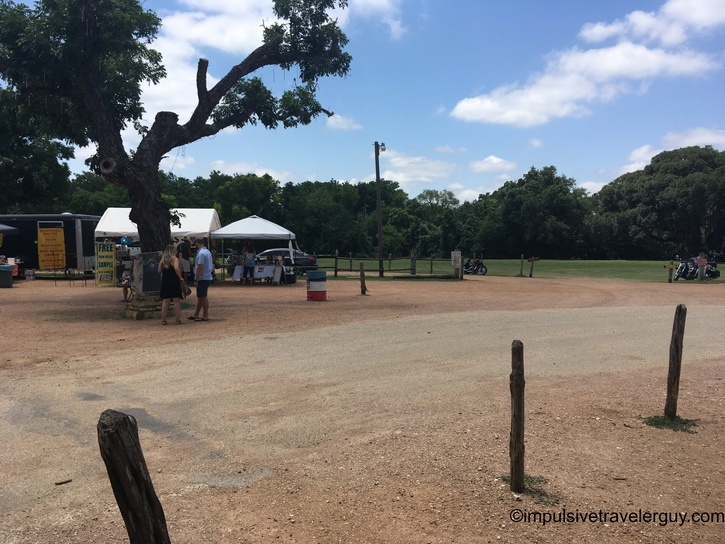 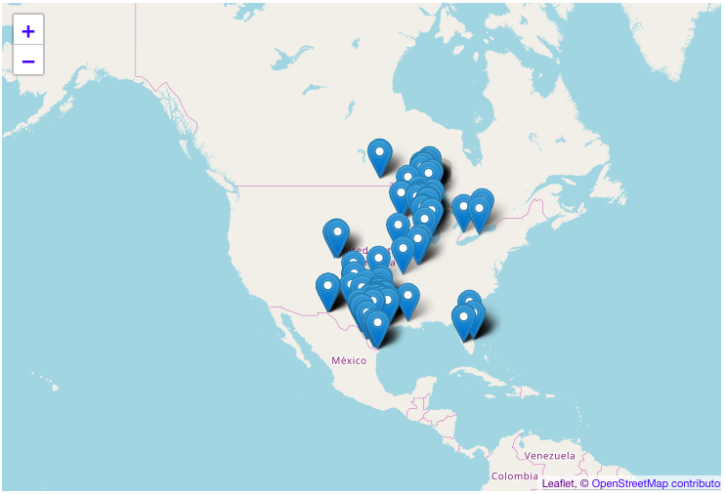 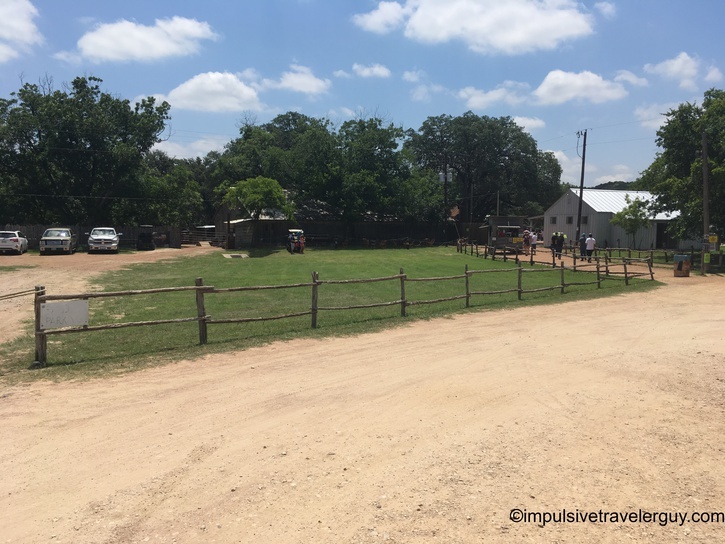 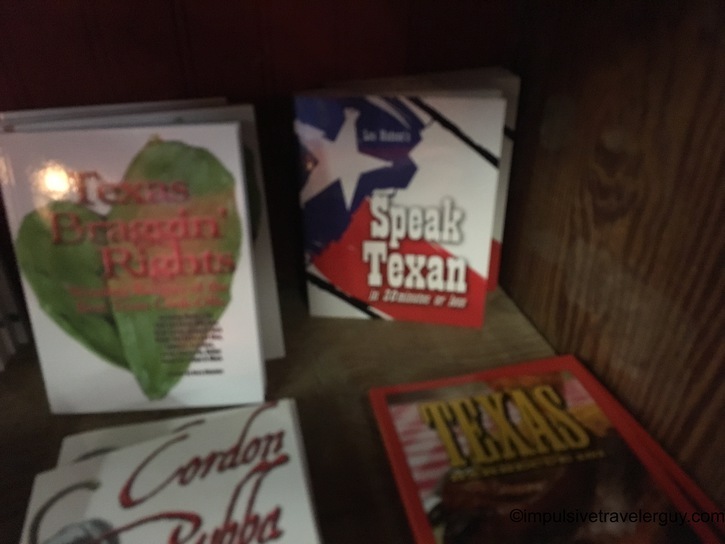 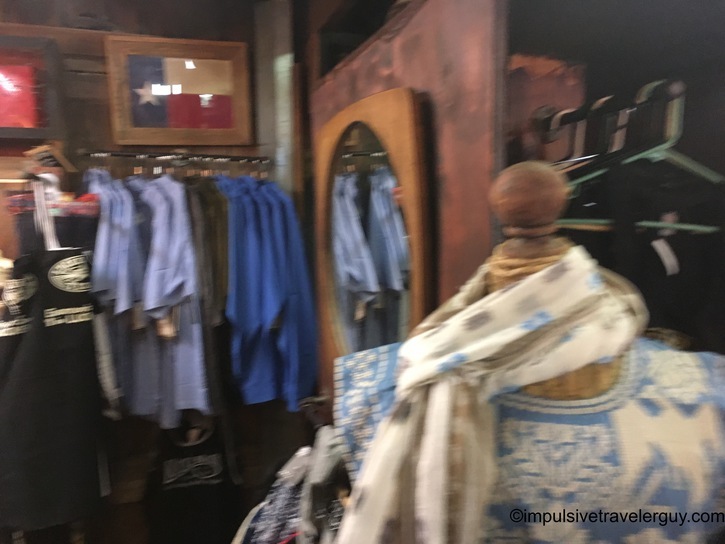 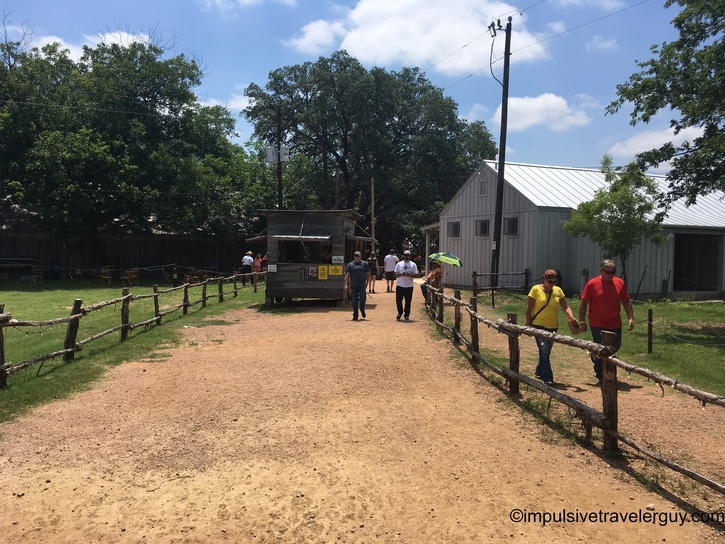 The only reason I know about it is because Waylon Jennings made it famous with his song, “Luckenbach, Texas.” Without that, this is a place that wouldn’t have even registered on the map for me. 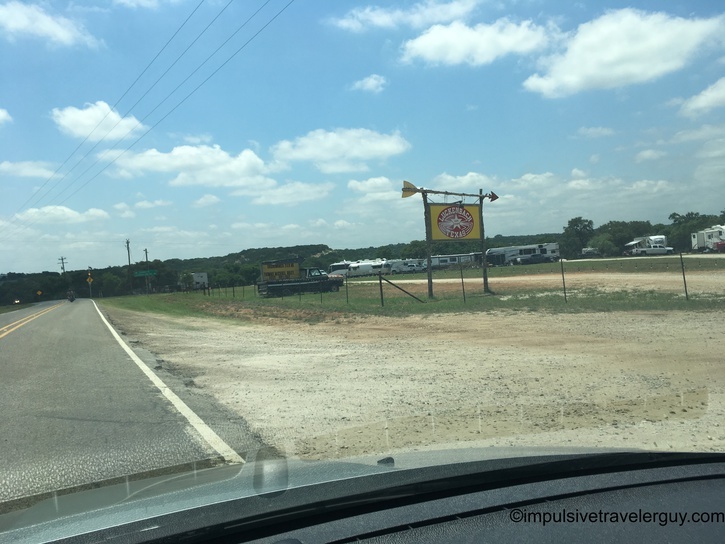 When you turn down the narrow 2-lane highway, there’s a few signs that direct you there. 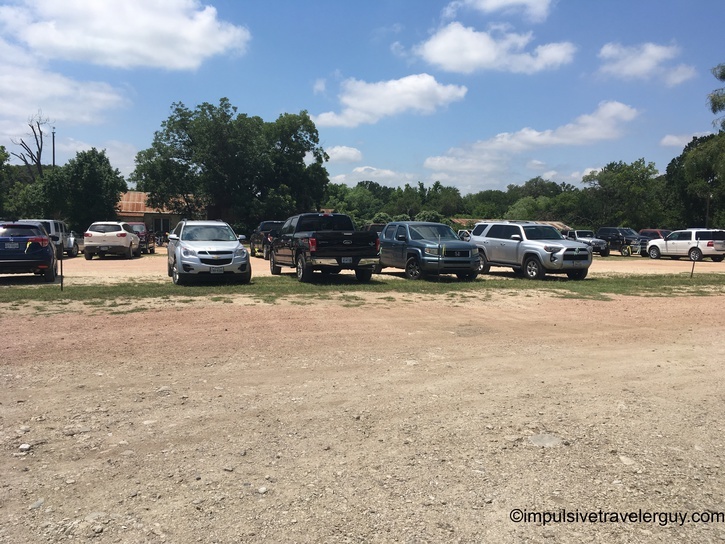 Eventually, there was an even narrower road that took us to the parking lot. 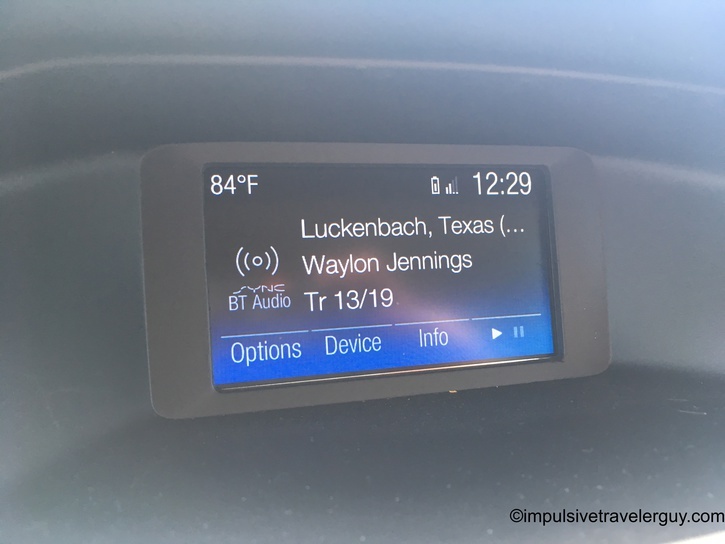 I had Waylon playing on the radio, and had to have Luckenbach playing as I pulled into Luckenbach. 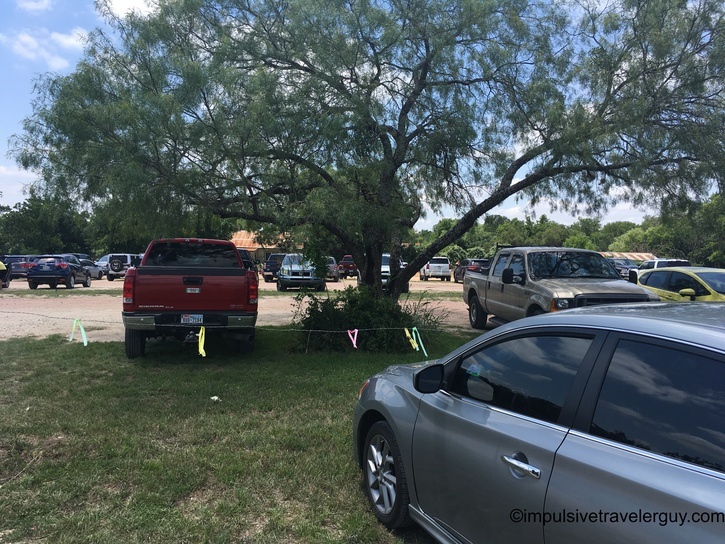 There was some sort of music festival going on, so the parking lot was kind of full. 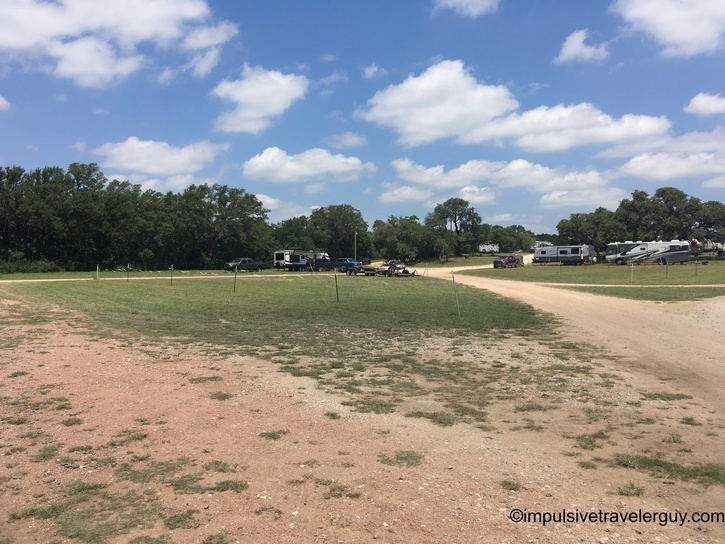 There were also people camping out at the campground. 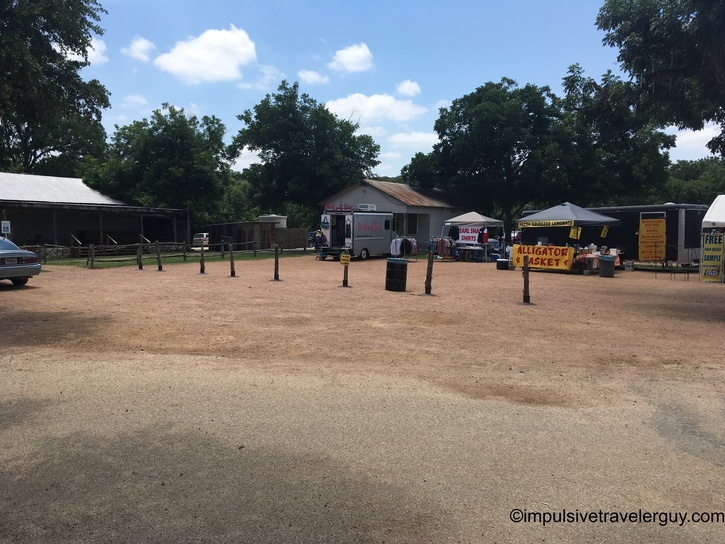 We thought we were out of luck when there was a ticket booth and they wanted like $20 for tickets. 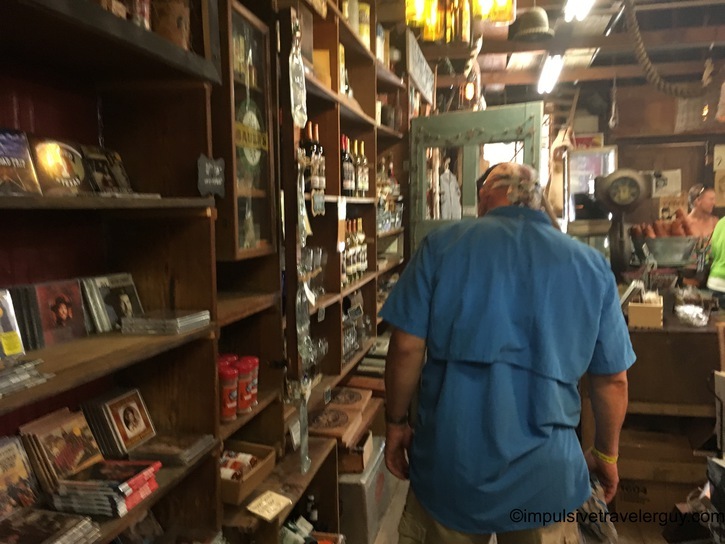 All we wanted to do is go to the general store. 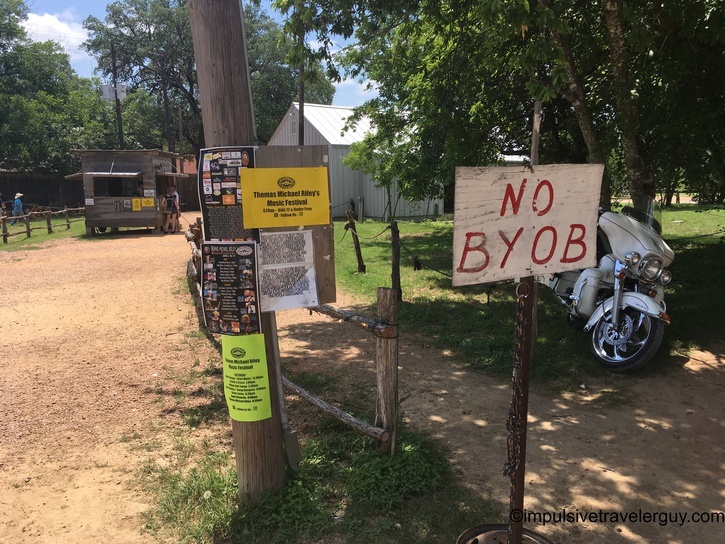 We were lucky and they let us go to the general store, but they jokingly warned us if we walked down to the music festival part, there’s a lot of big burly bikers working security. 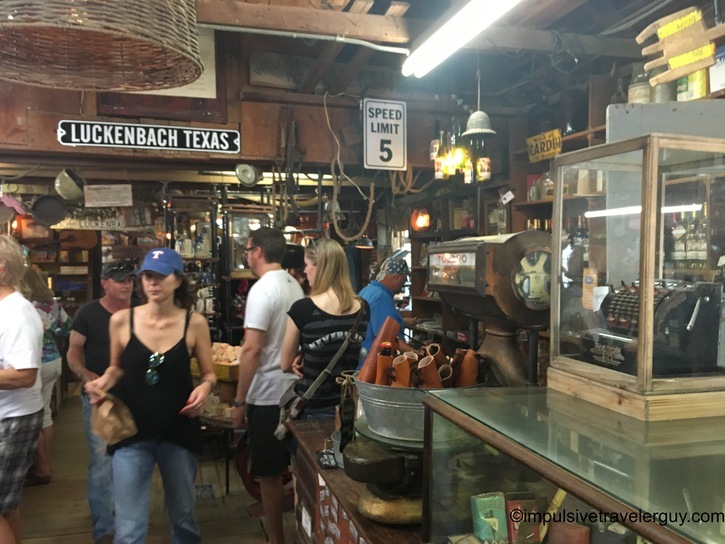 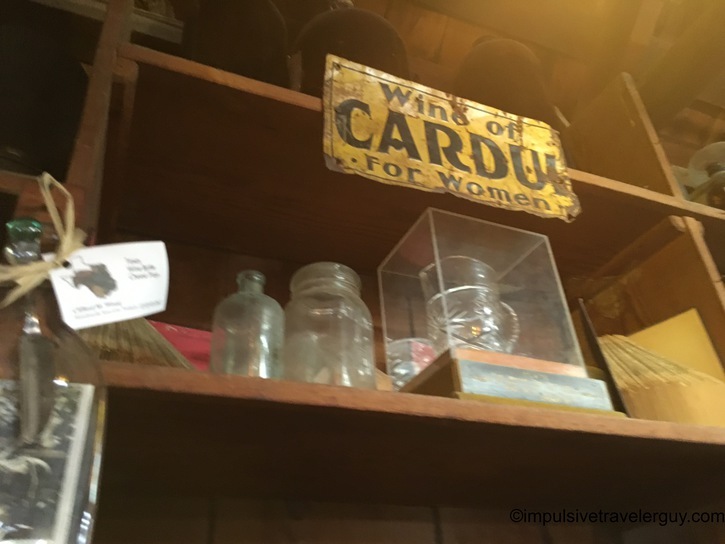 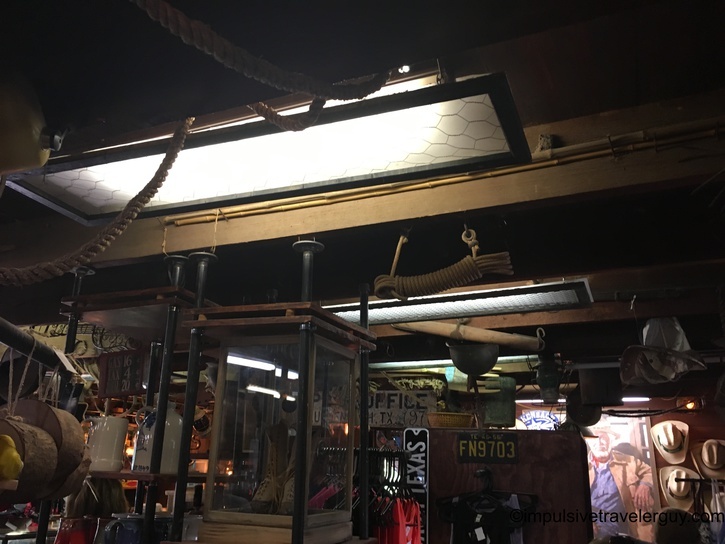 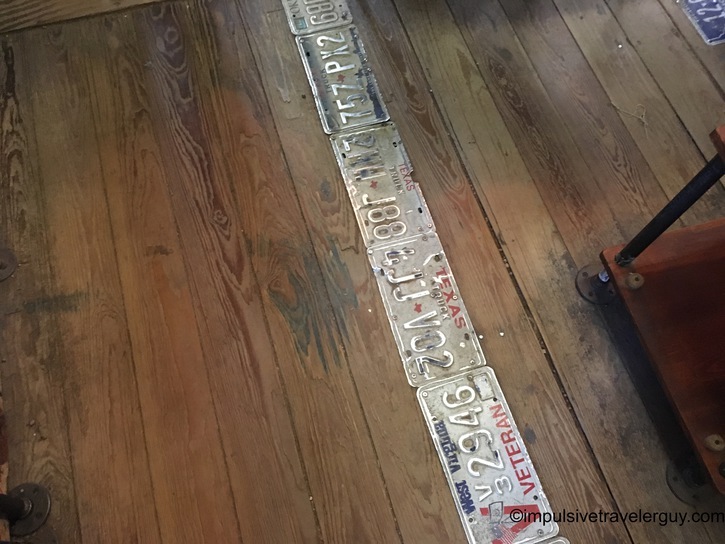 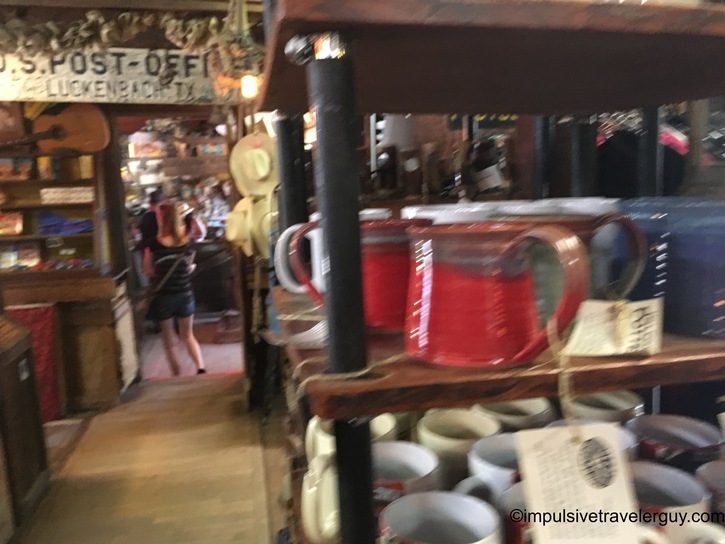 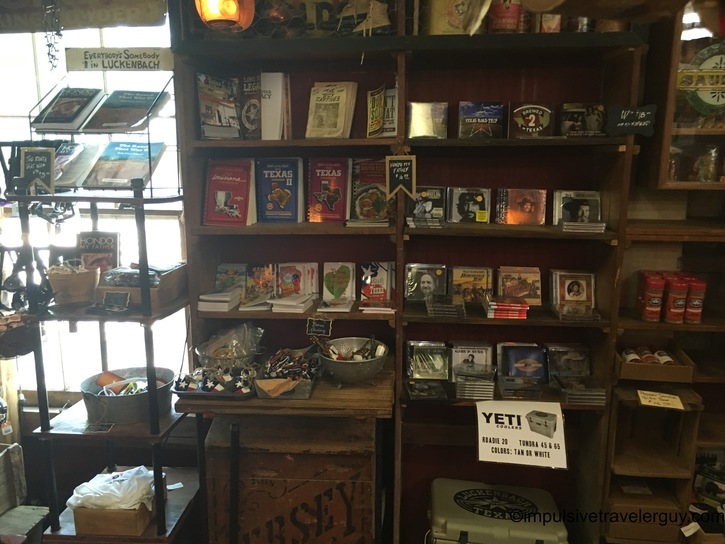 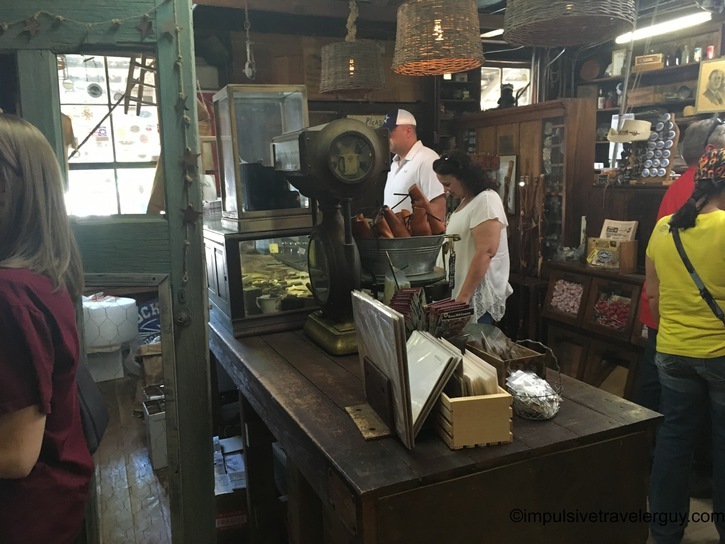 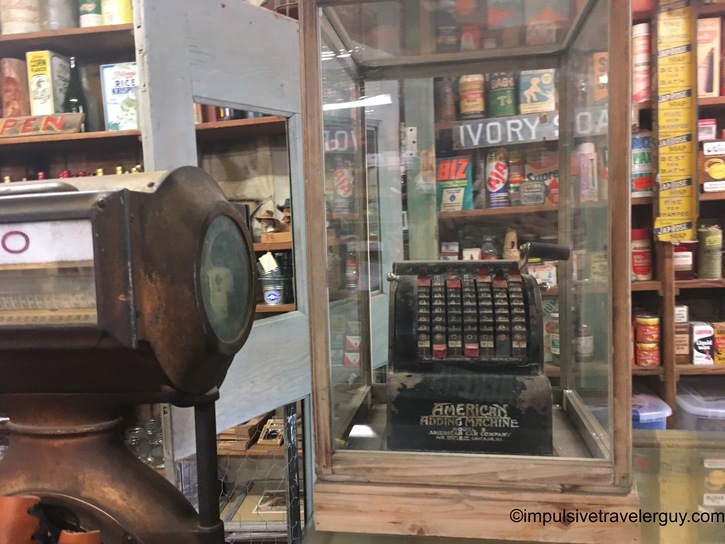 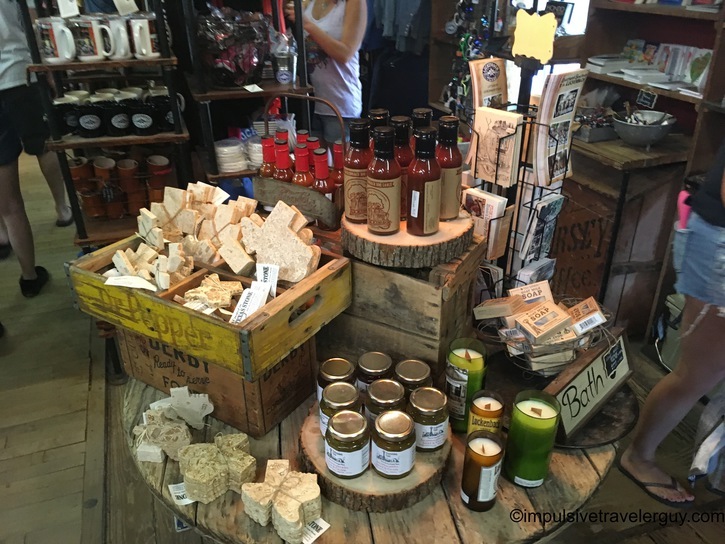 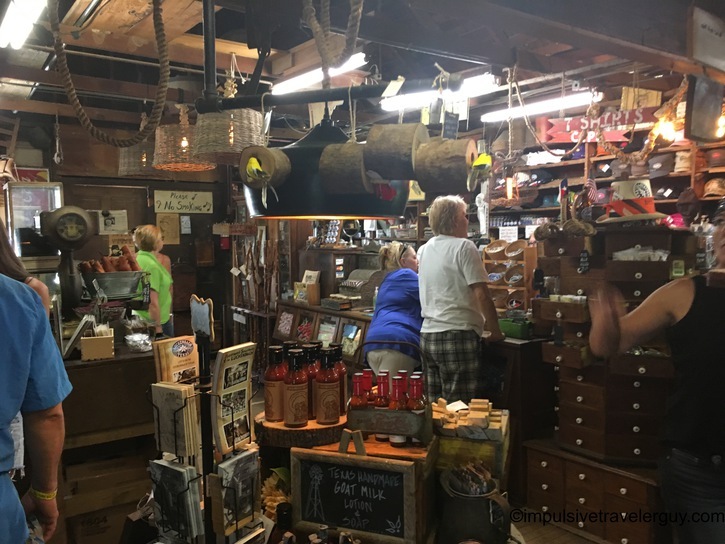 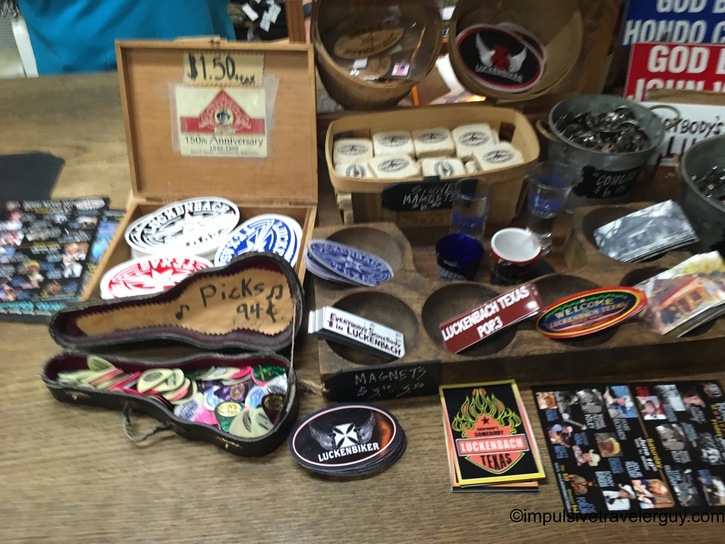 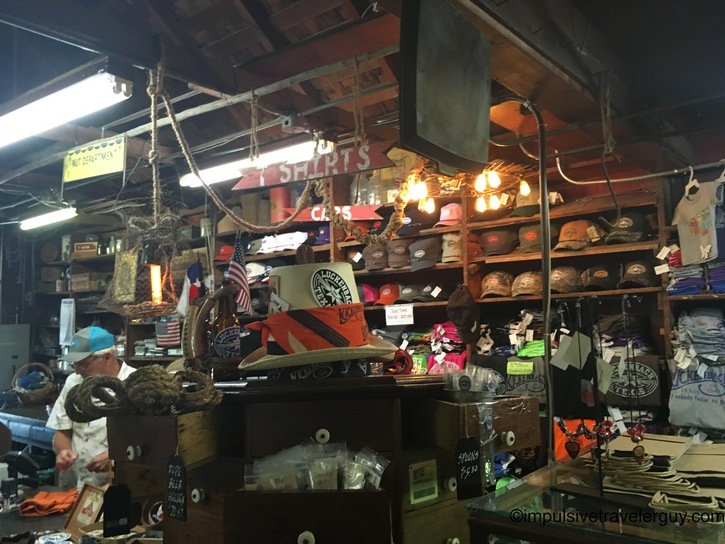 The general store was definitely old fashioned and had a lot of interesting knick knack sort of things. 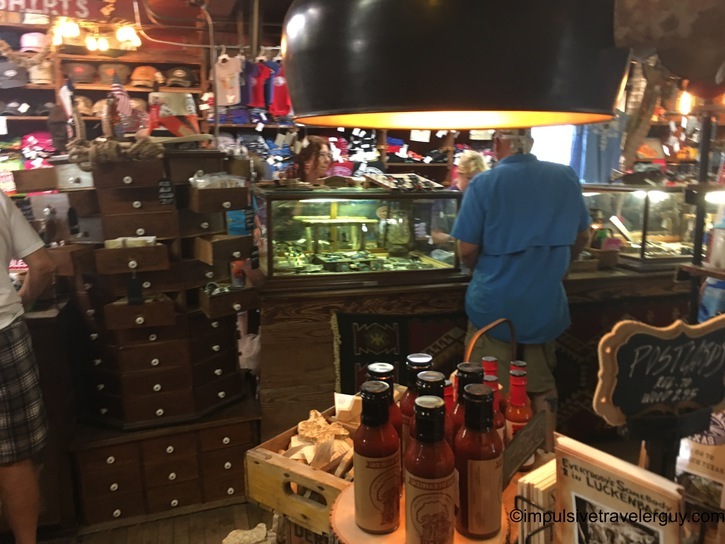 We got some hot sauce. 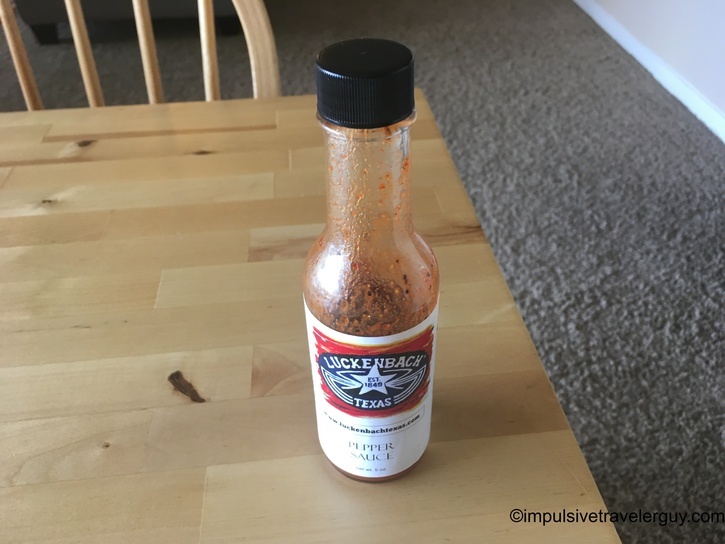 This stuff was good and definitely had a huge spicy kick to it. 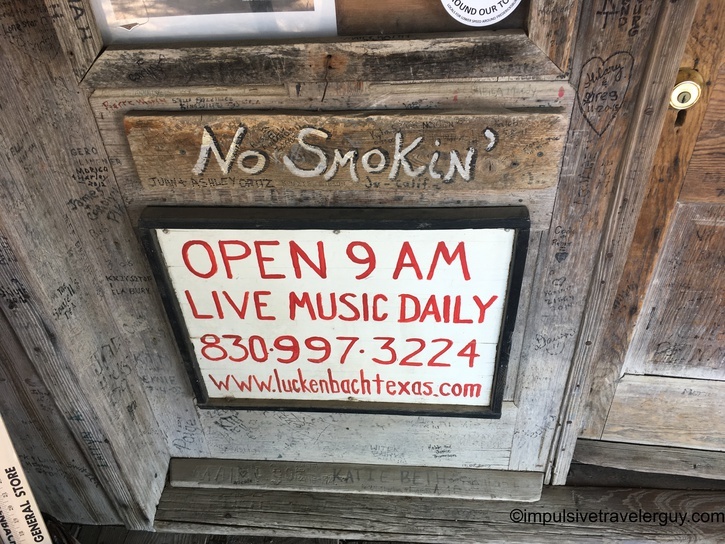 Besides being able to see live music, this is another reason for me to come back. 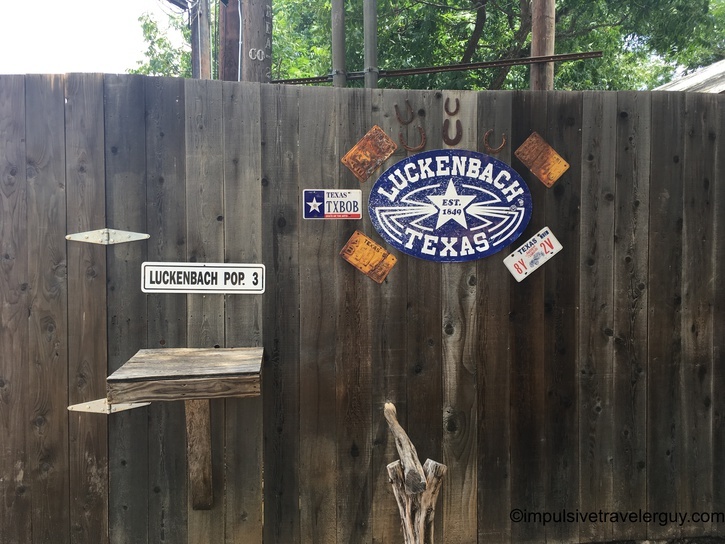 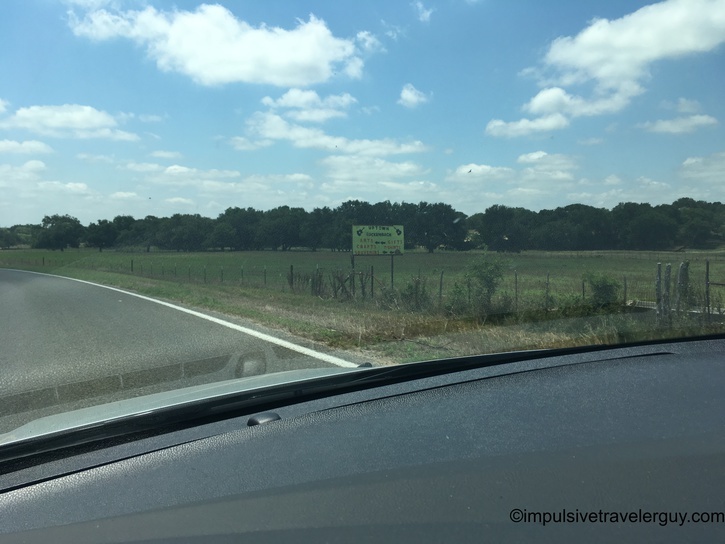 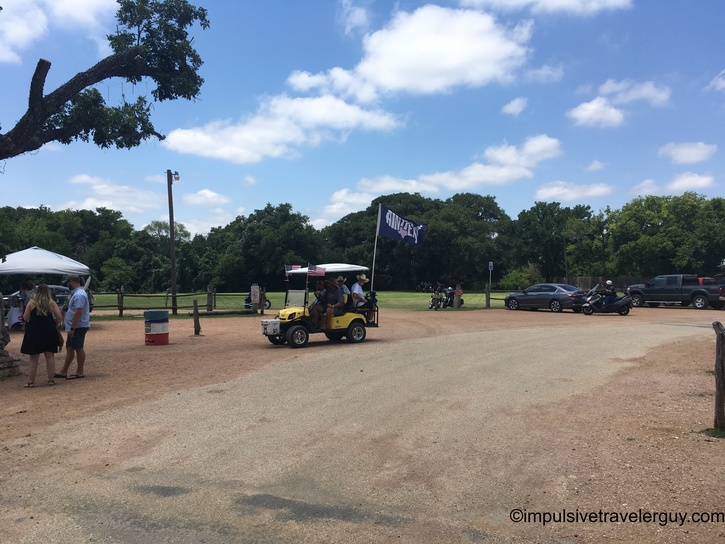 On the way out, I saw another sign pointing to Luckenbach. 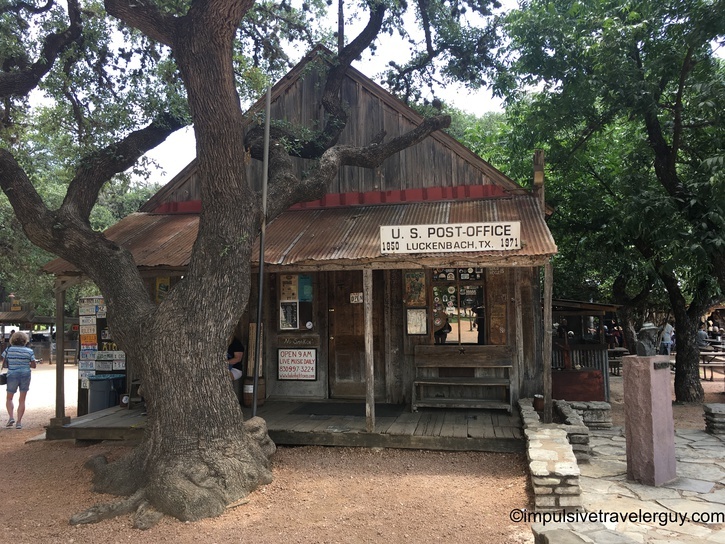 It was cool to visit Luckenbach. 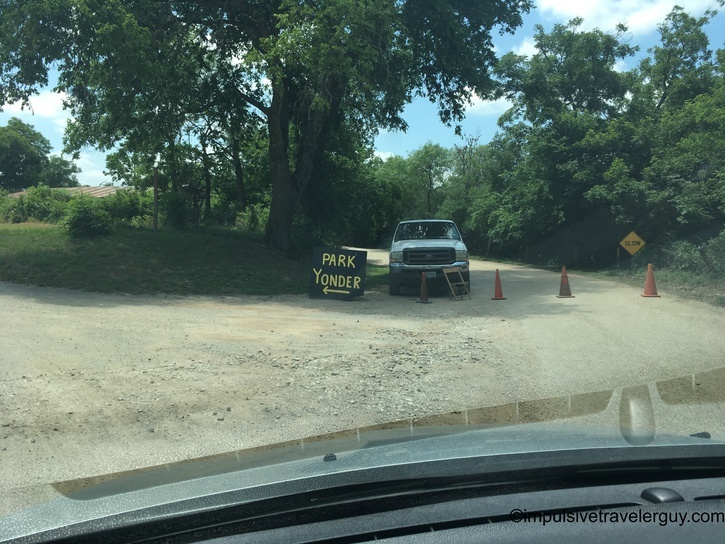 It was actually a lot smaller than I thought it would be. 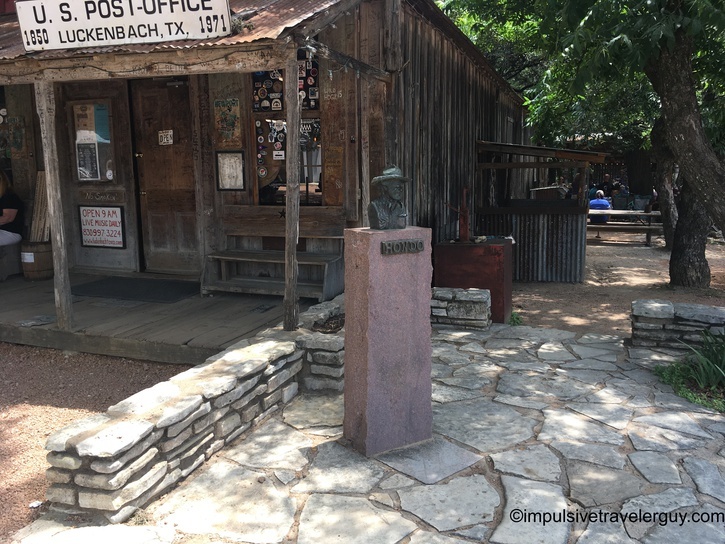 The historical element of it, as well as it being famous via Waylon Jennings made it worth the visit! 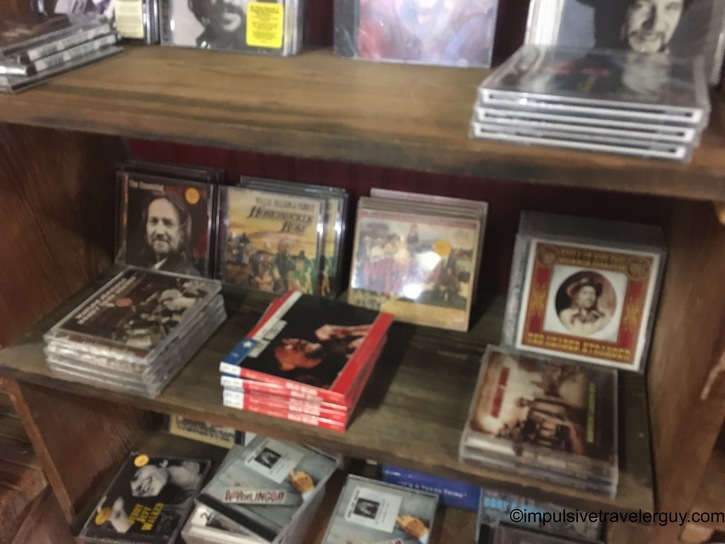 I’ll have to come back to listen to some music some weekend and maybe stock up on hot sauce!